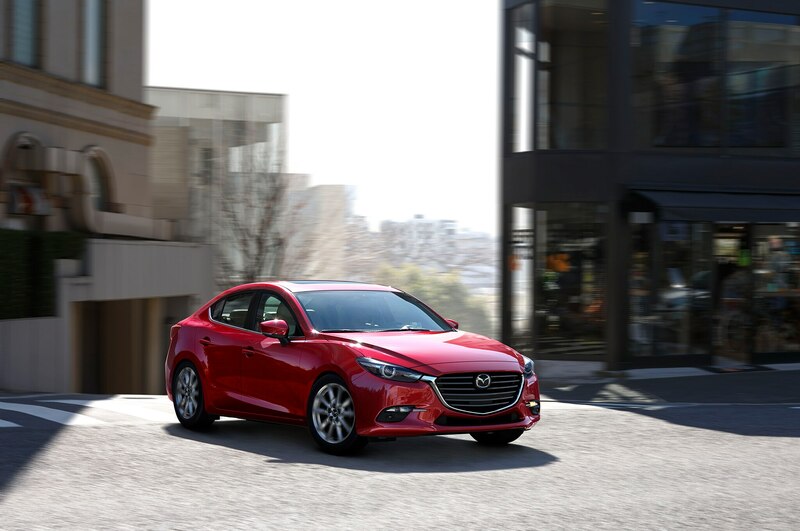 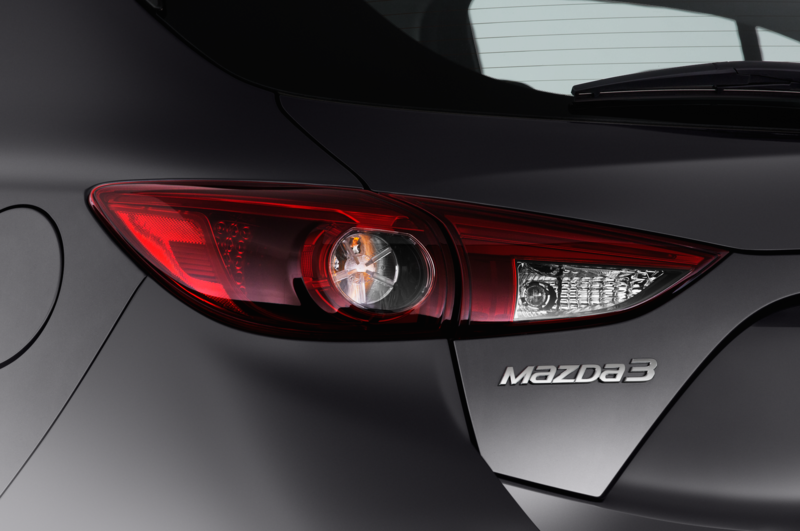 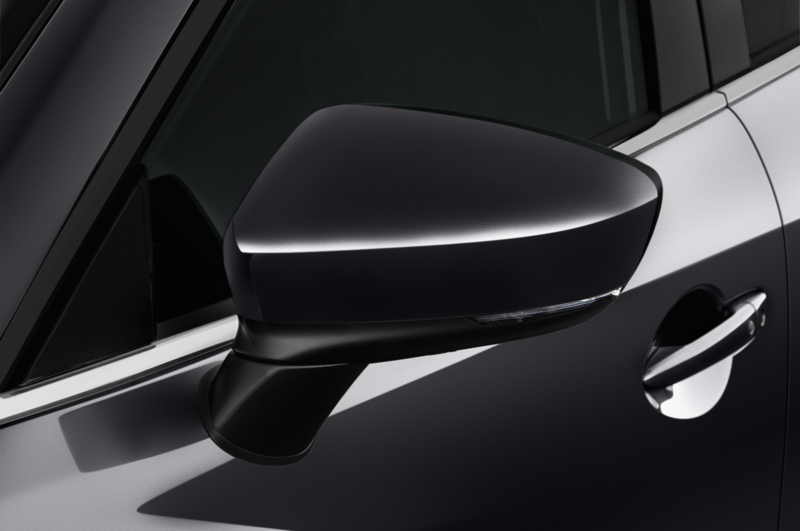 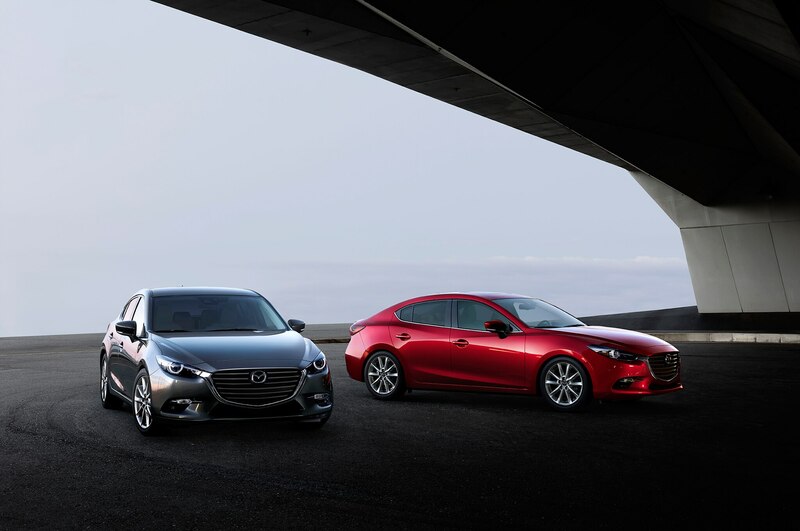 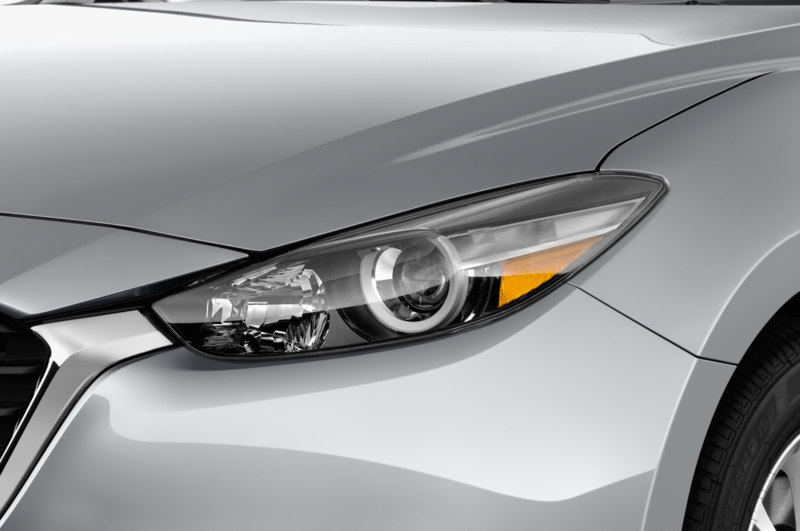 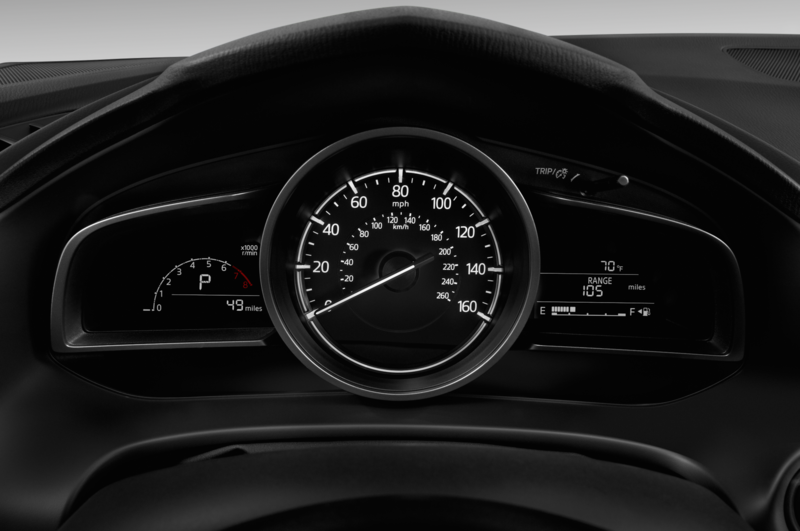 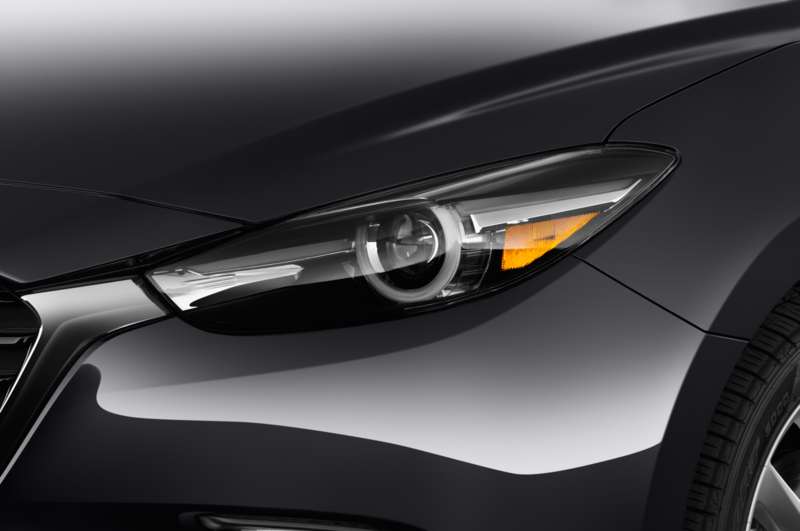 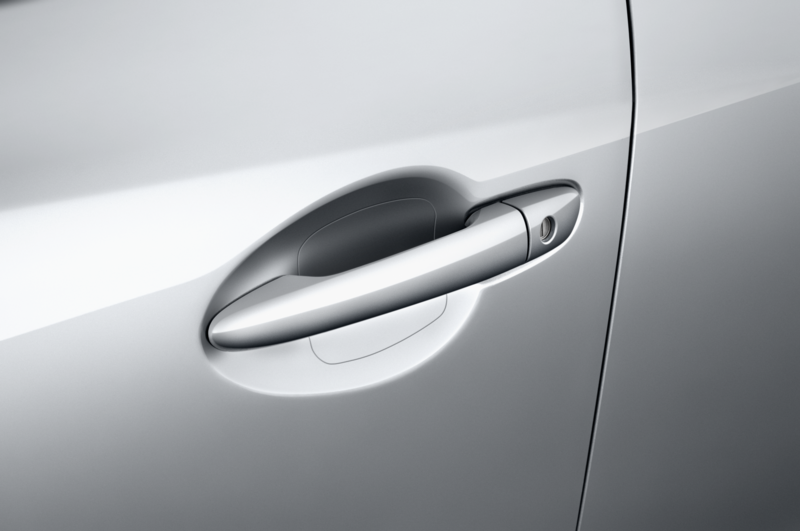 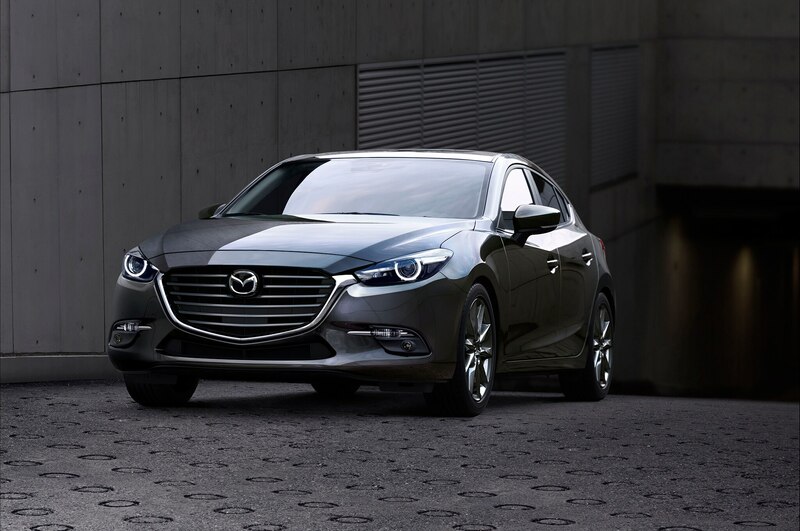 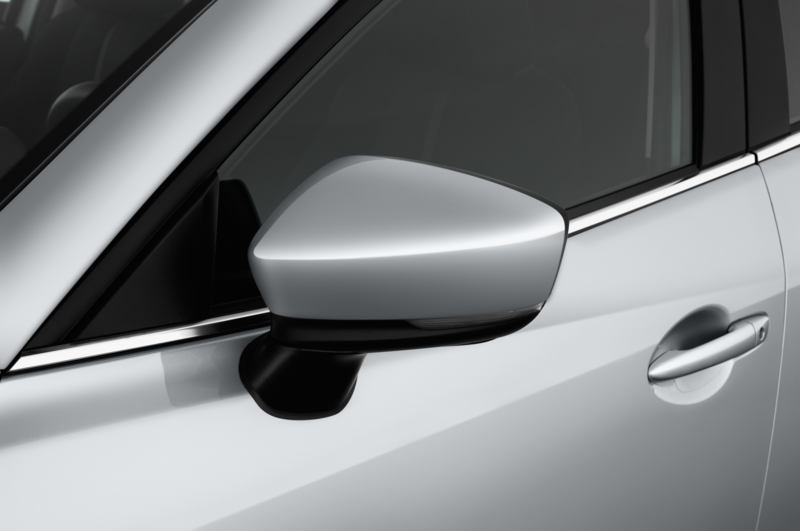 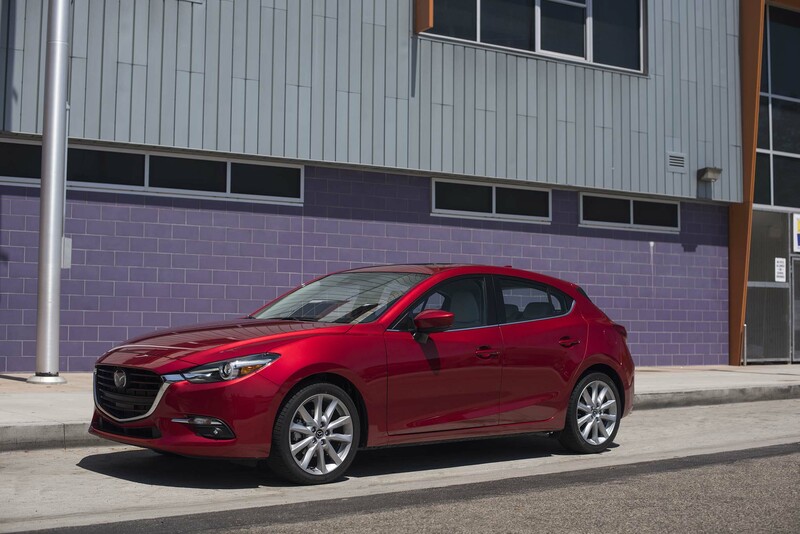 After receiving some big updates last year, the Mazda3 sedan and hatch add just a few updates for the new model year. 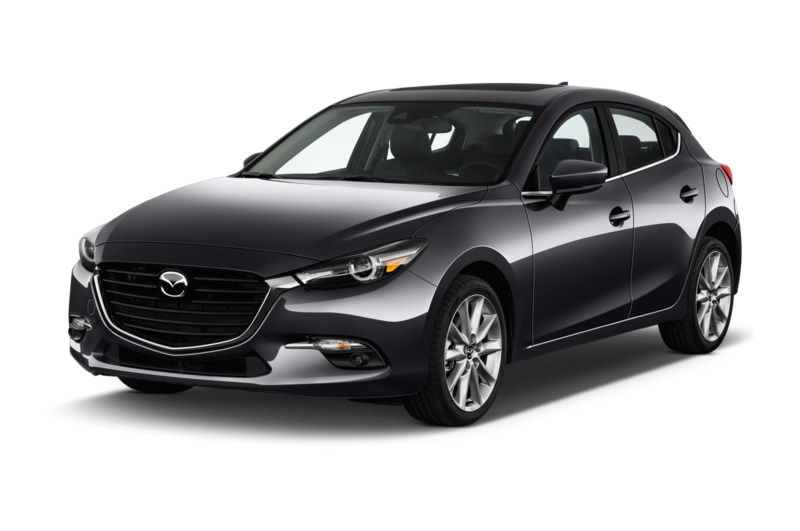 The 2018 Mazda3 is making its way to U.S. dealerships across the country now with new equipment. 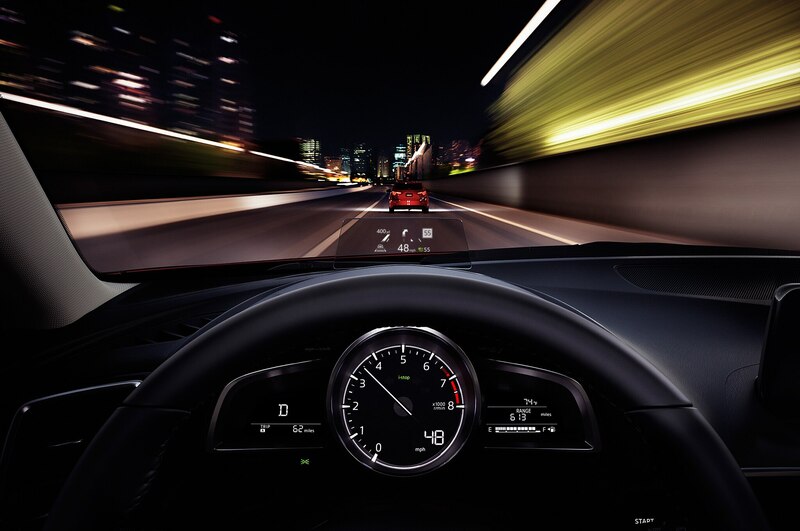 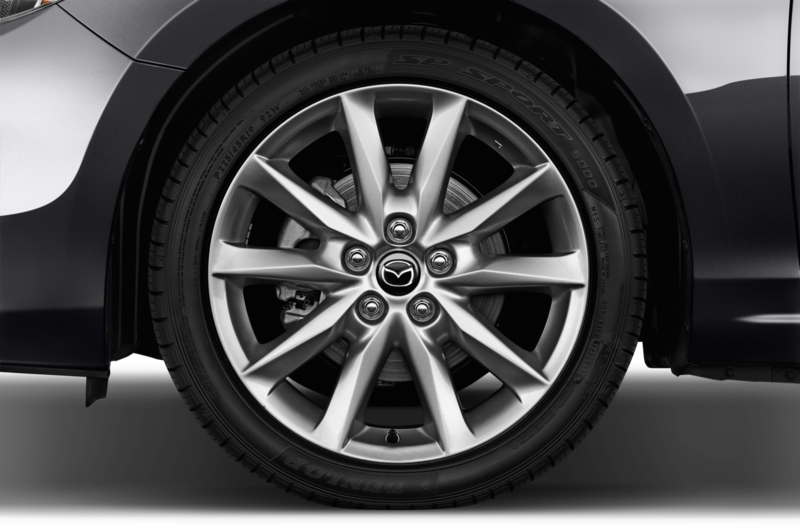 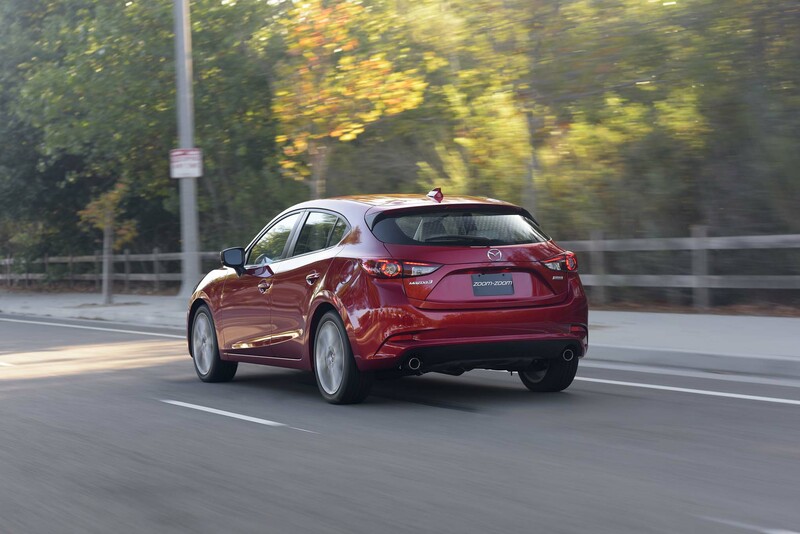 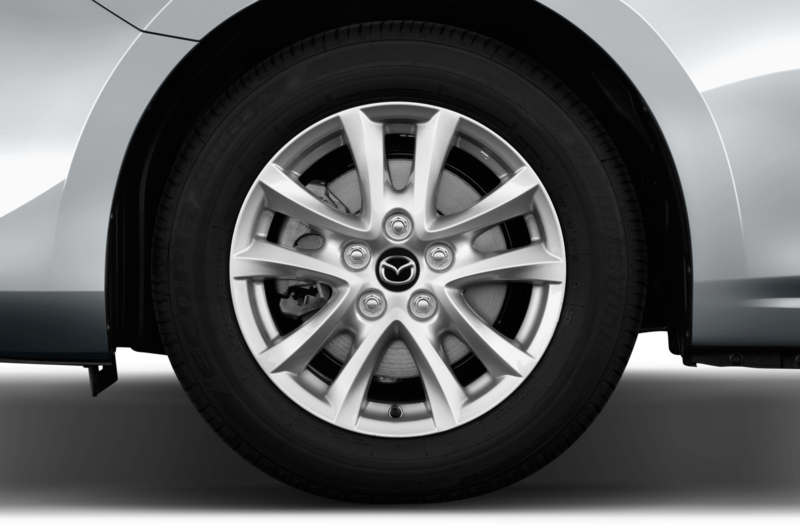 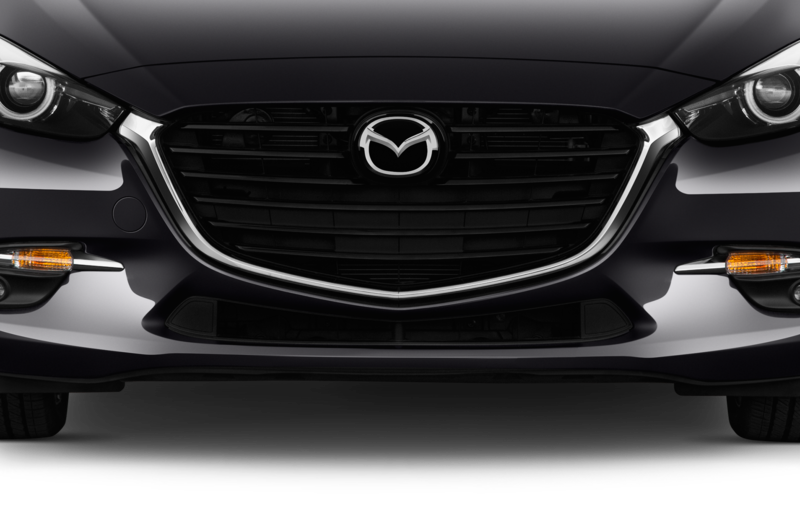 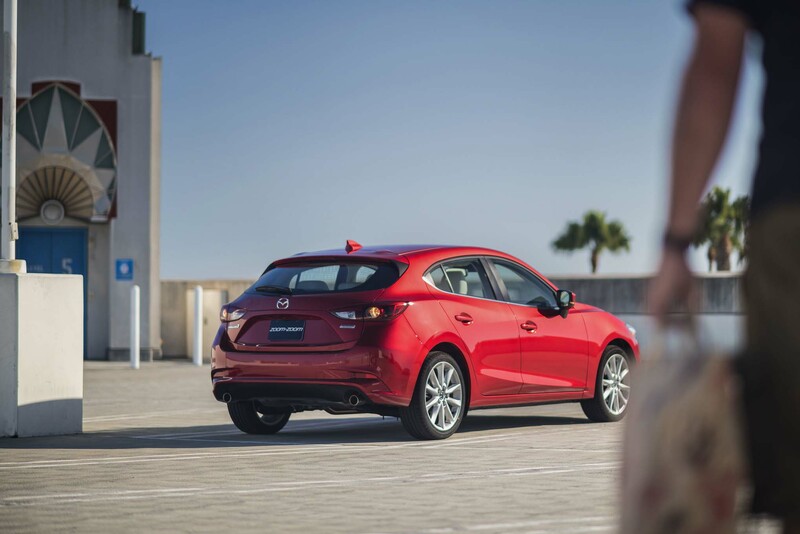 Now the base Mazda3 comes standard with Smart City Brake Support, an automatic emergency braking system that helps drivers avoid frontal collisions at slow speeds. 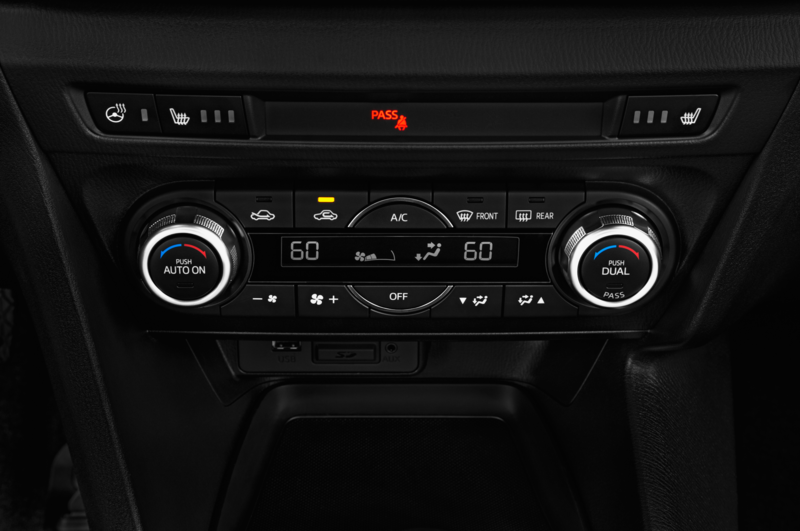 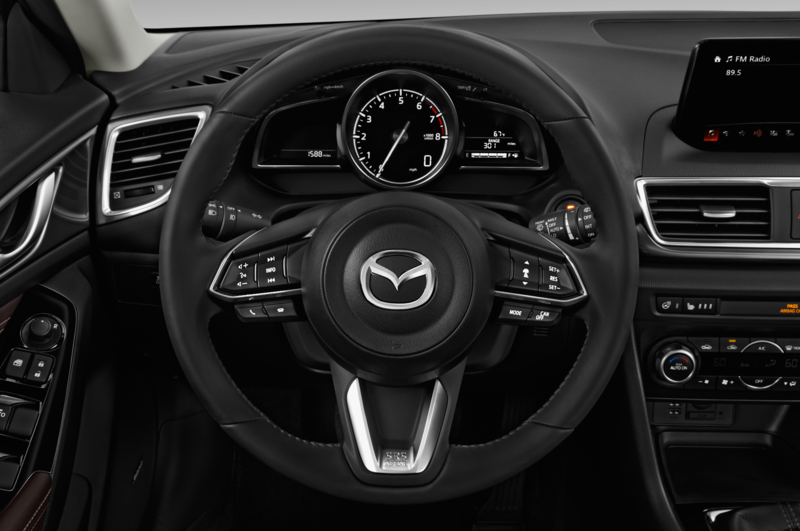 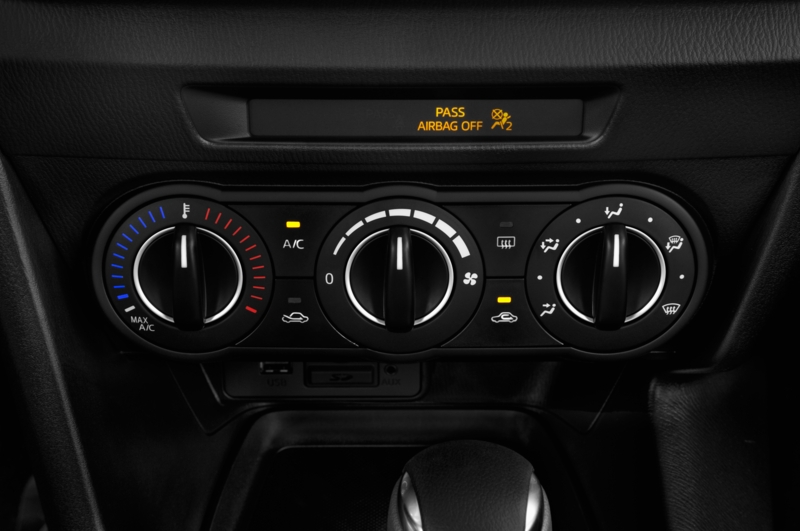 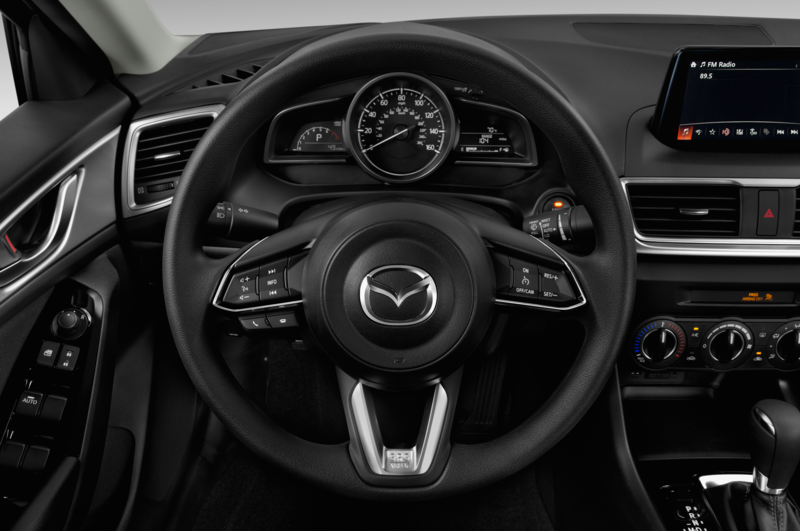 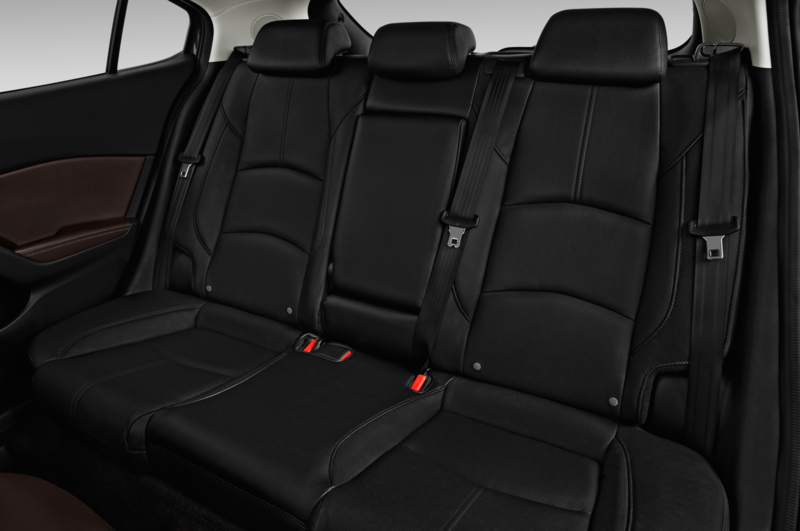 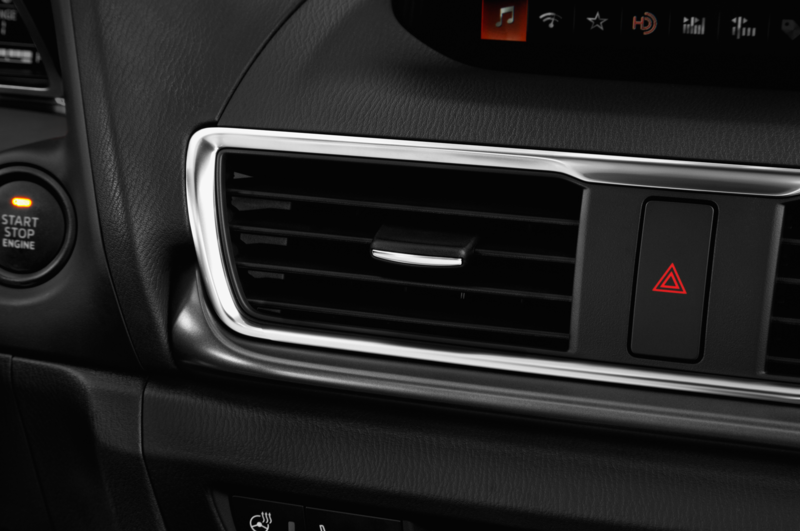 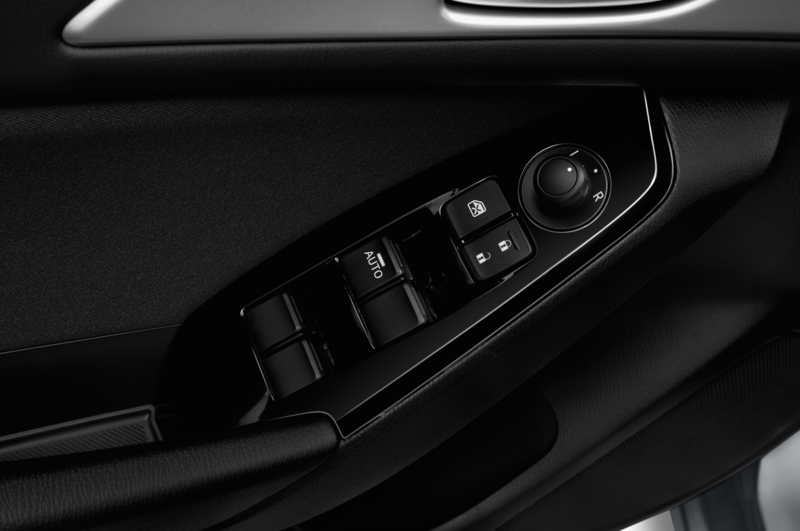 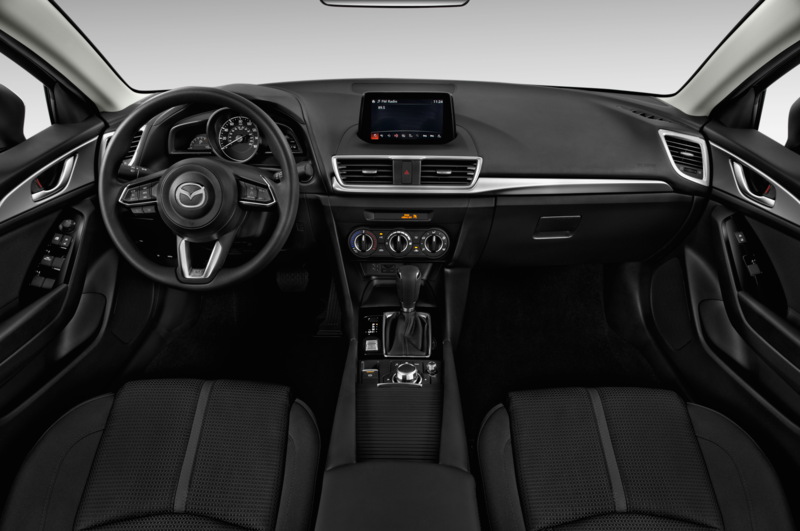 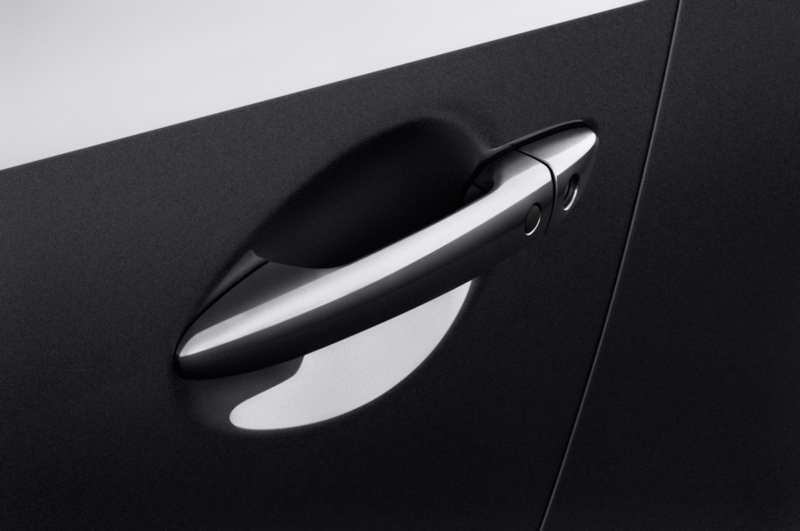 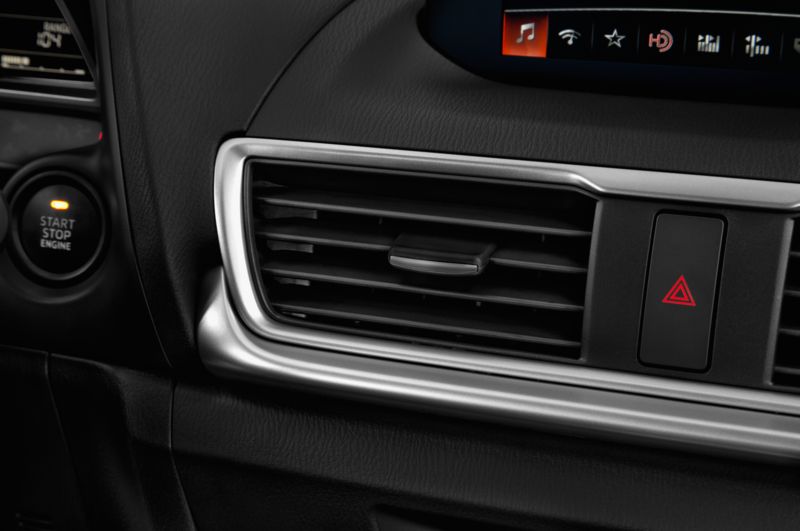 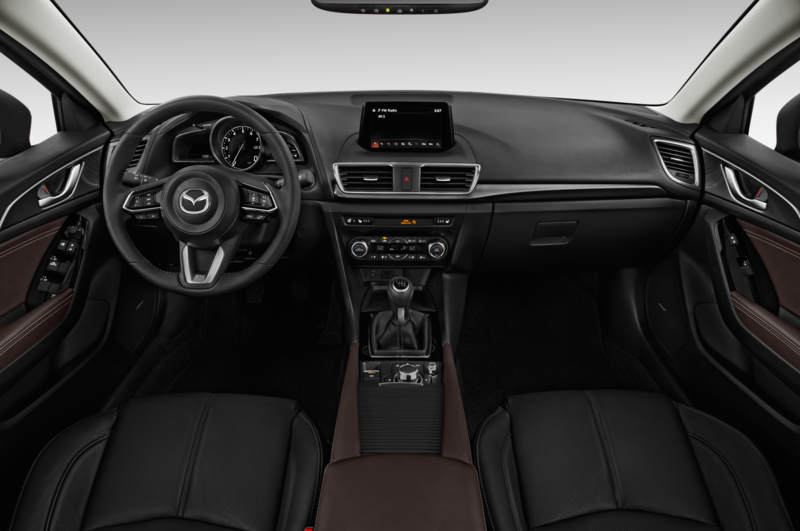 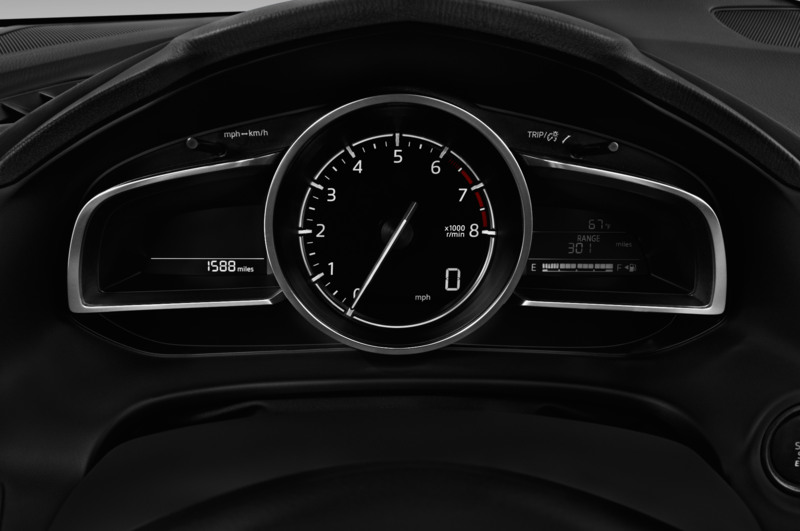 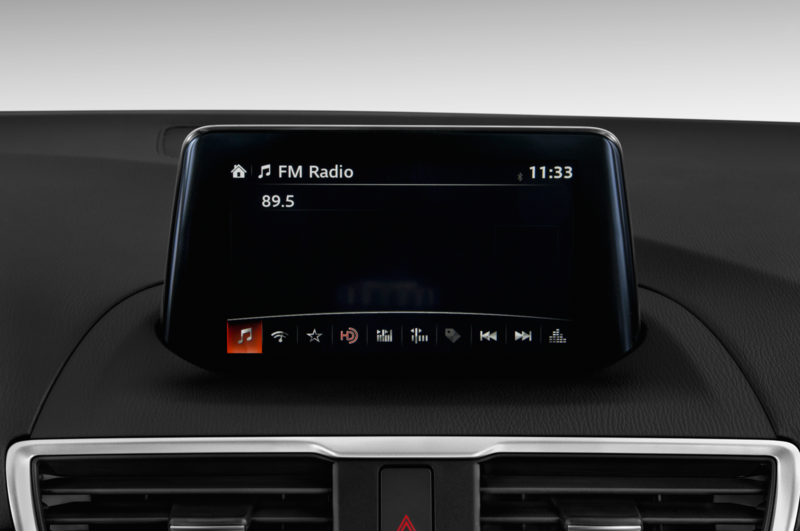 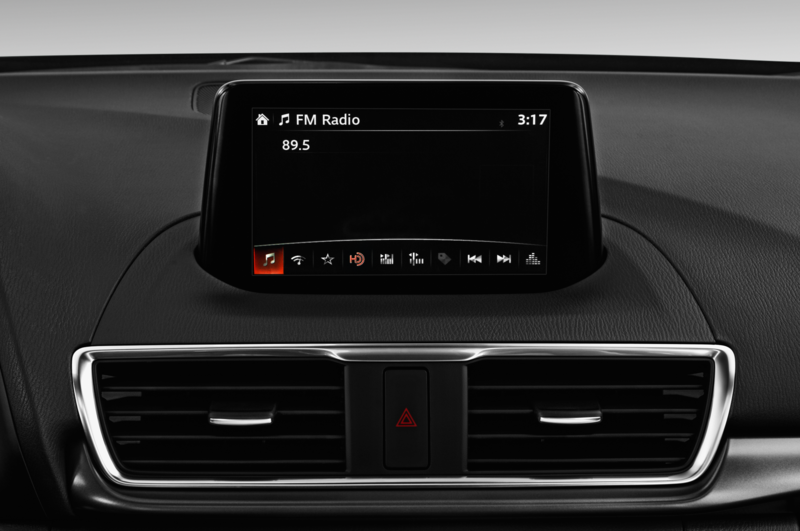 Other standard features include cloth seats, a Mazda Connect infotainment screen, remote keyless entry, push-button start, and one-touch driver’s power window. 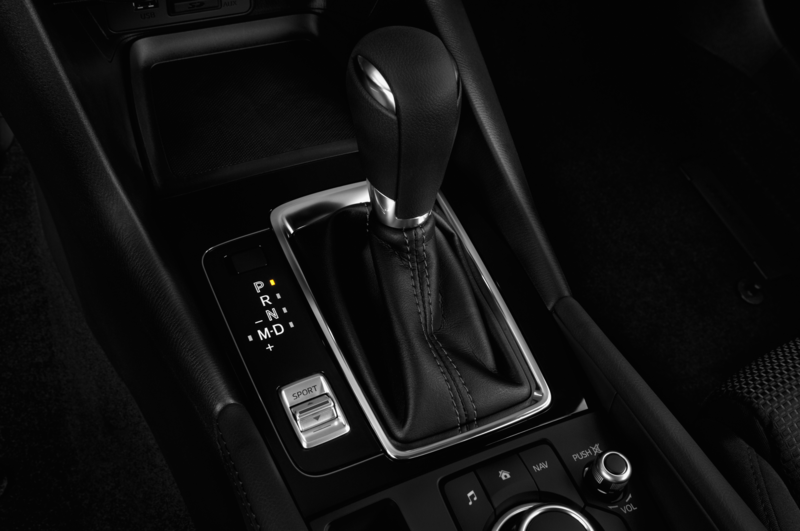 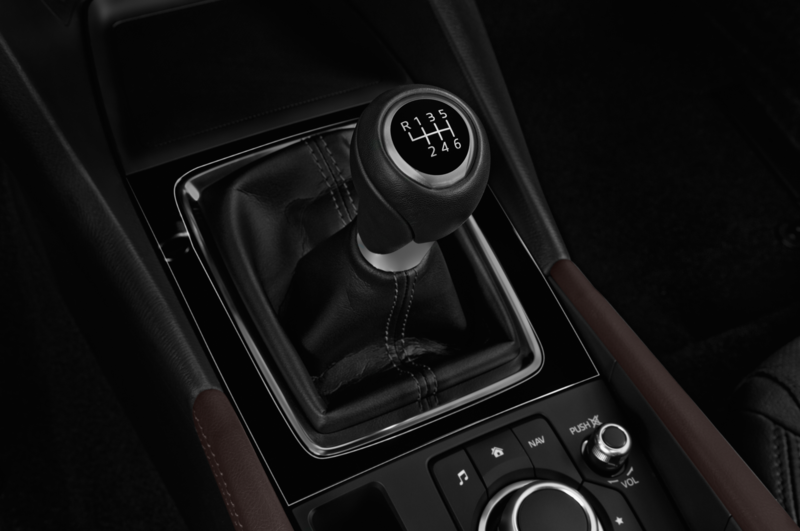 A six-speed manual is standard on all trim levels, but buyers can opt for a six-speed automatic for an extra $1,050. 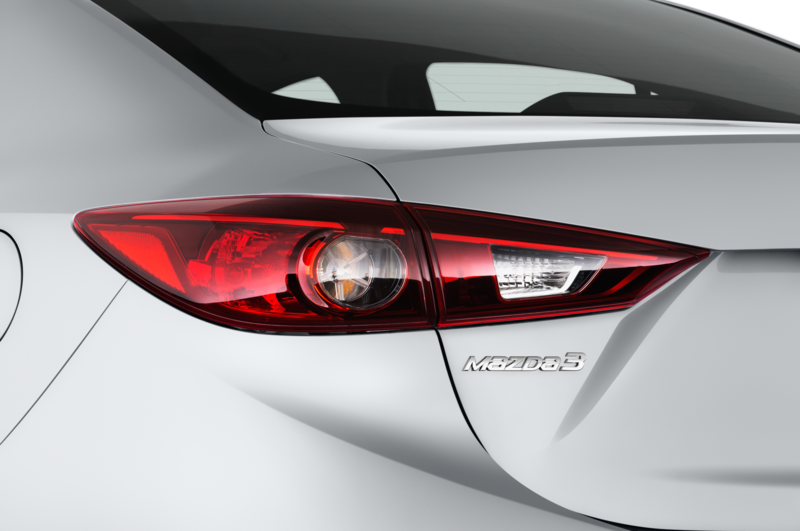 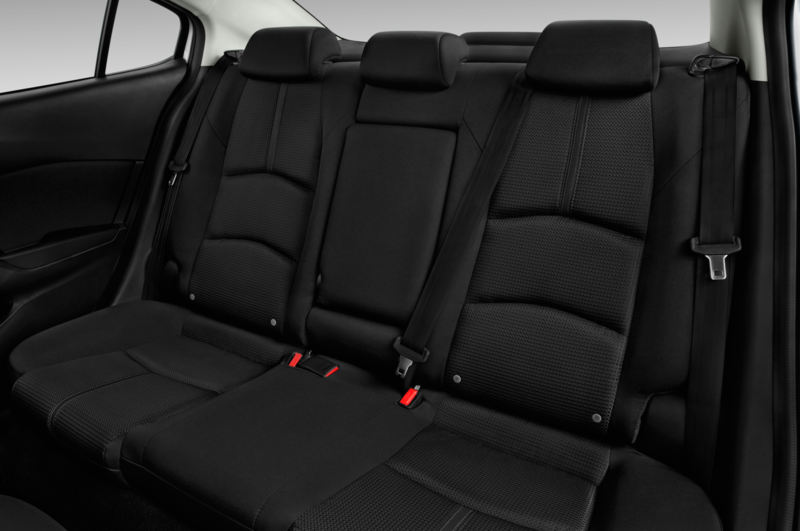 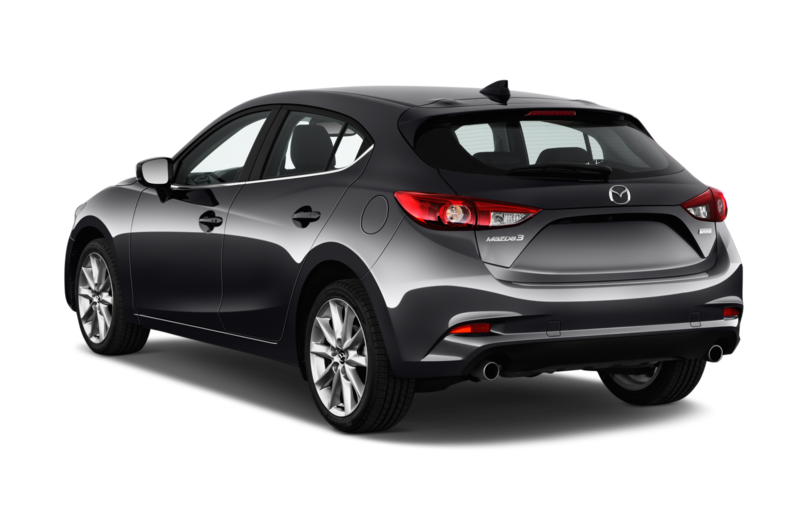 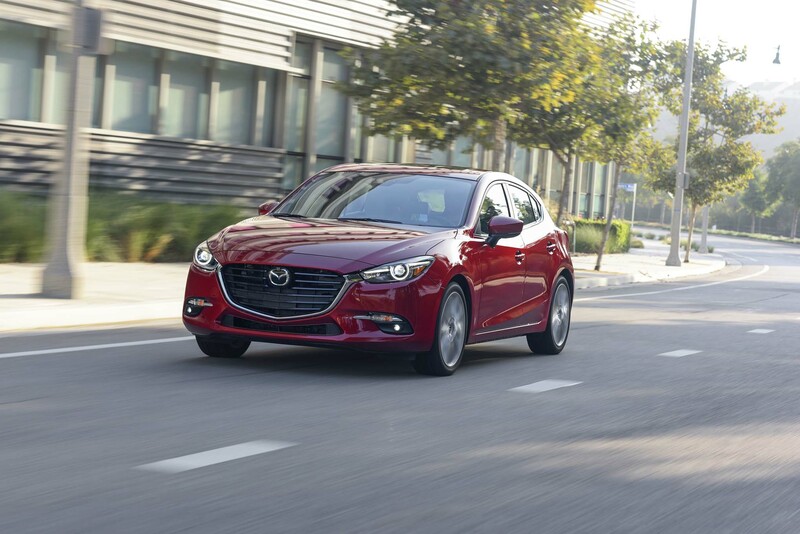 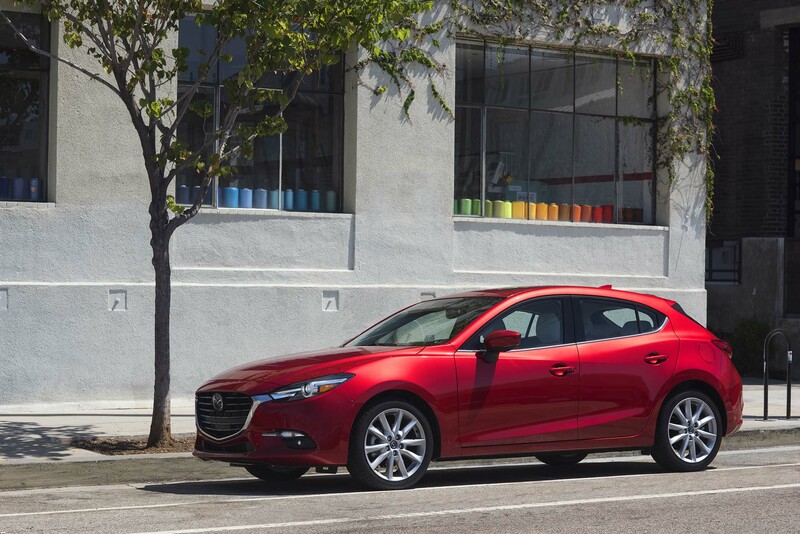 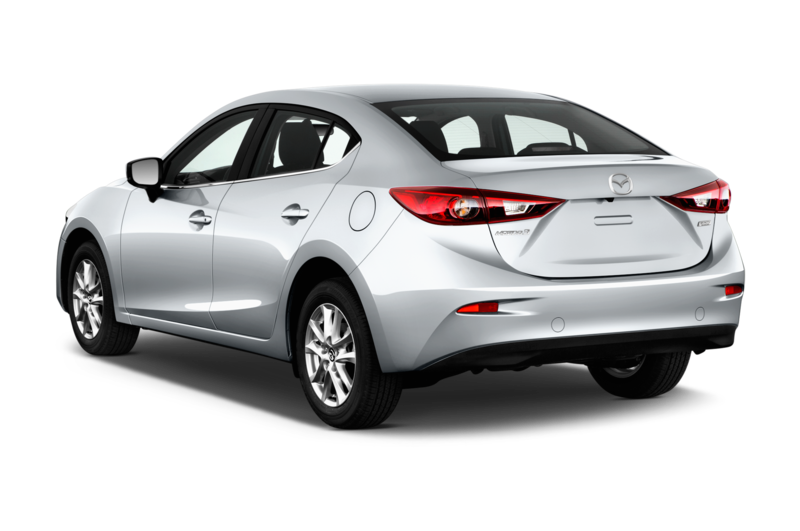 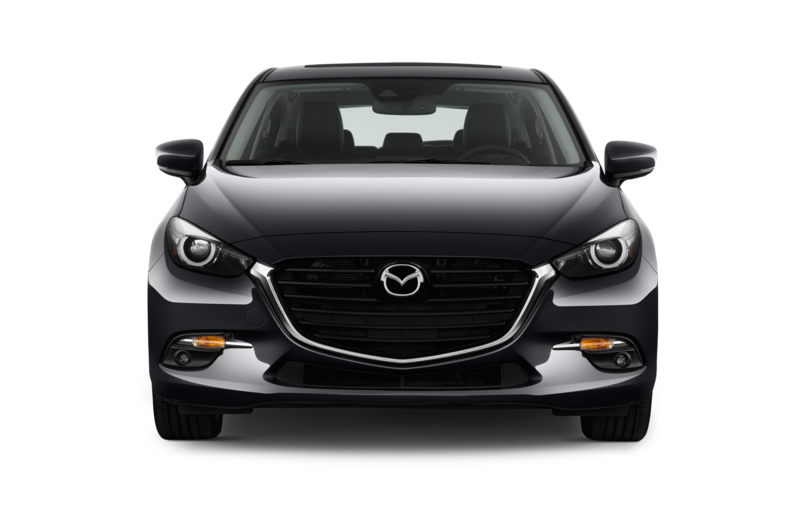 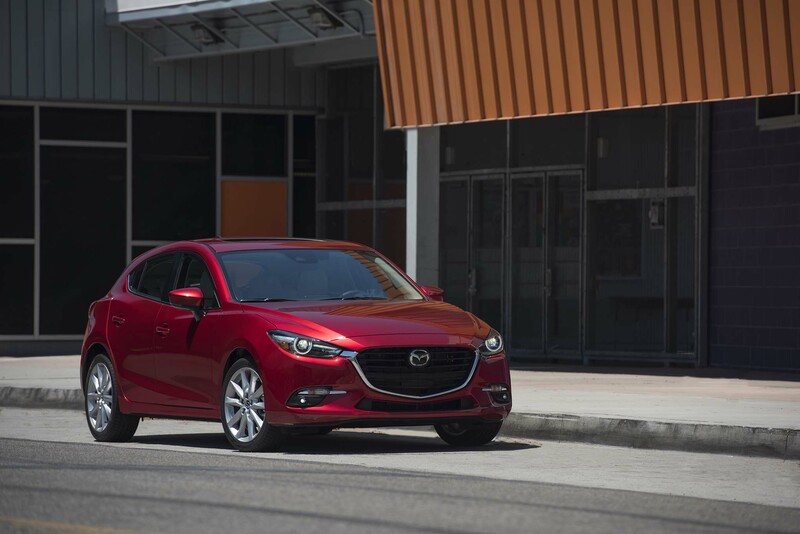 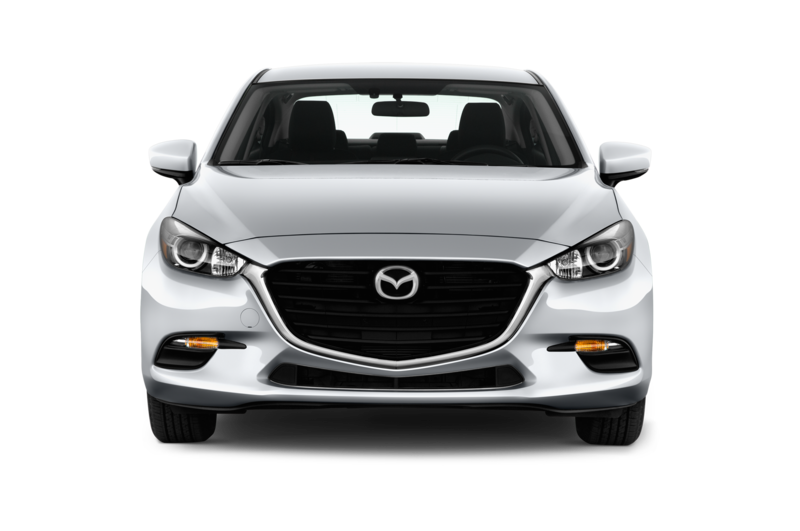 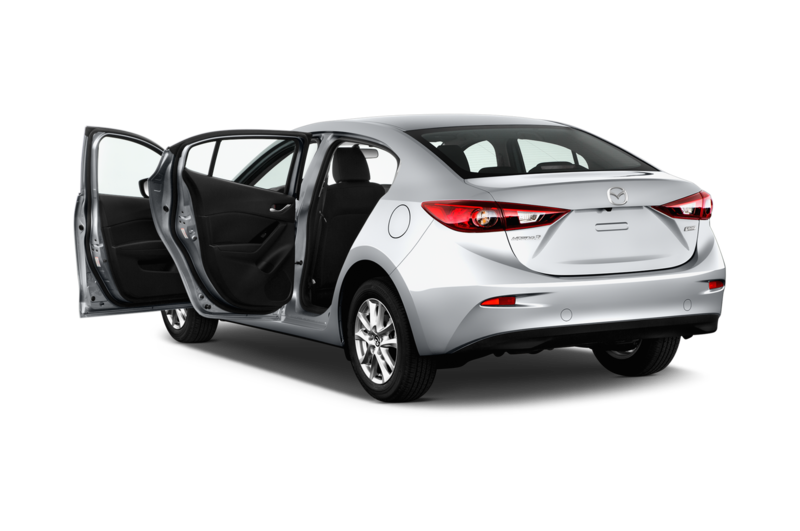 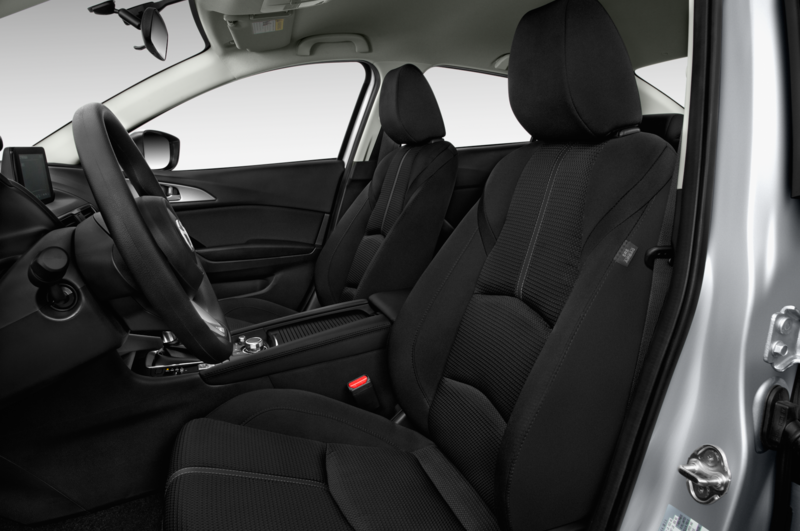 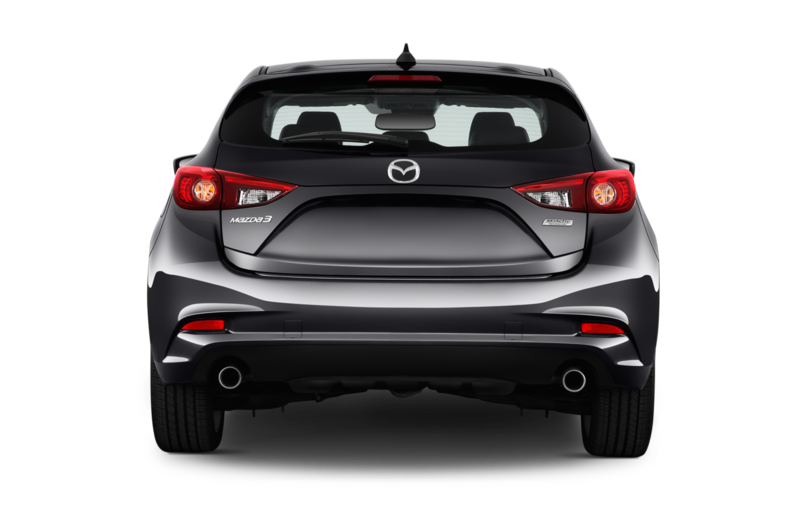 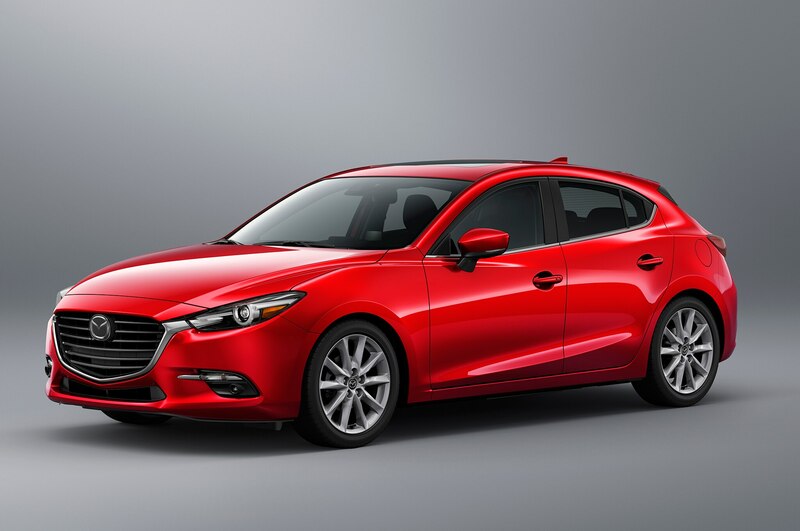 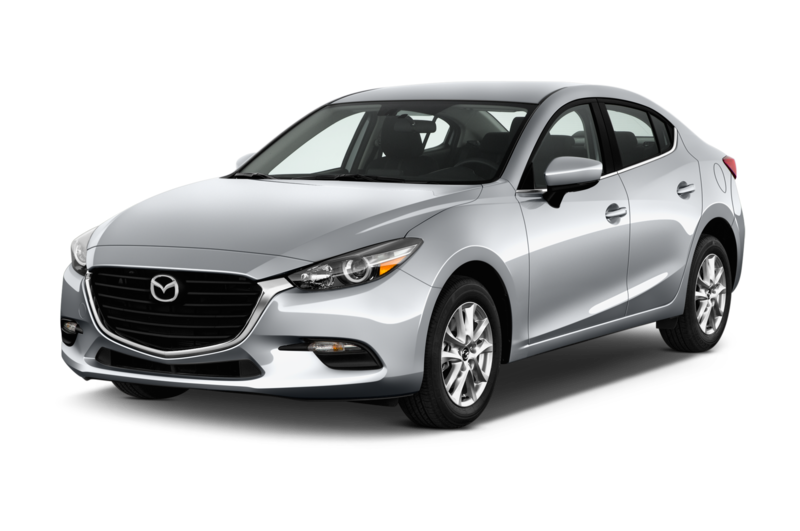 Prices start at $18,970 for the base Mazda3 Sport sedan and $20,220 for the hatch. 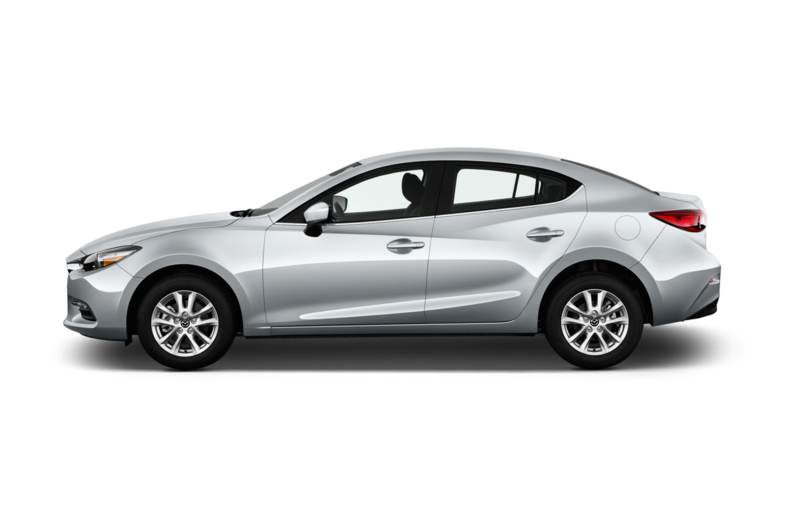 These prices undercut the Honda Civic lineup. 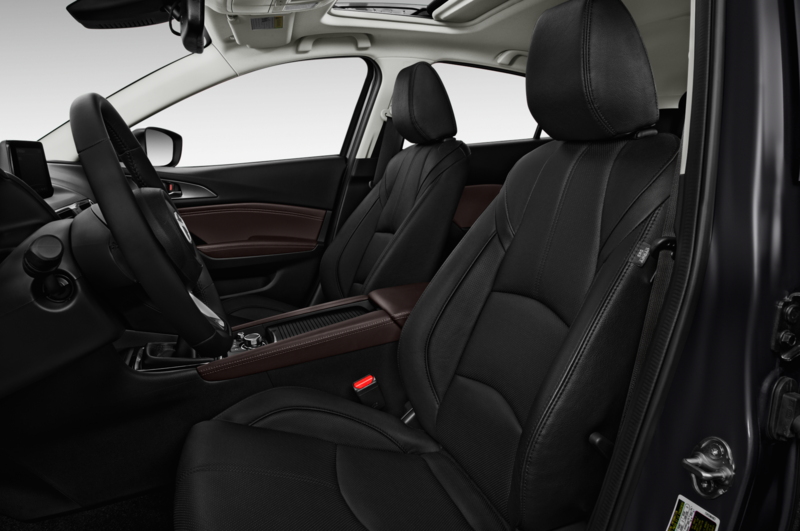 The 2017 Honda Civic sedan starts at $19,615 and the hatch is priced from $20,575. 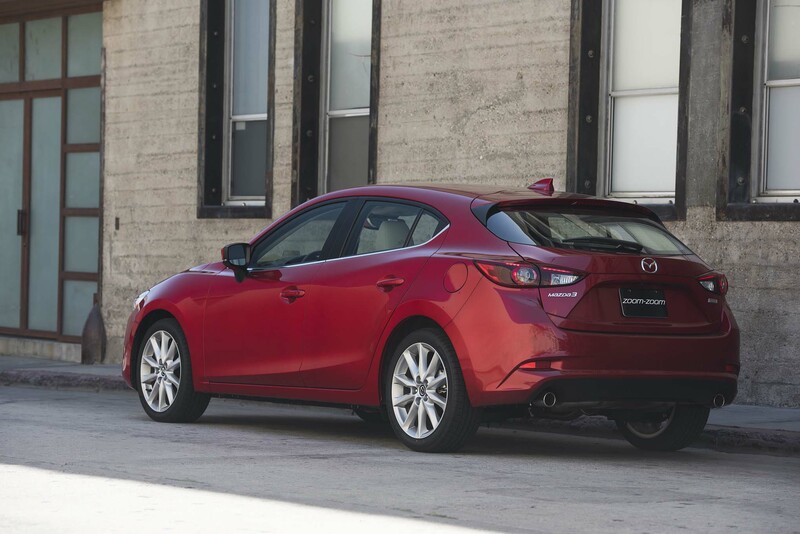 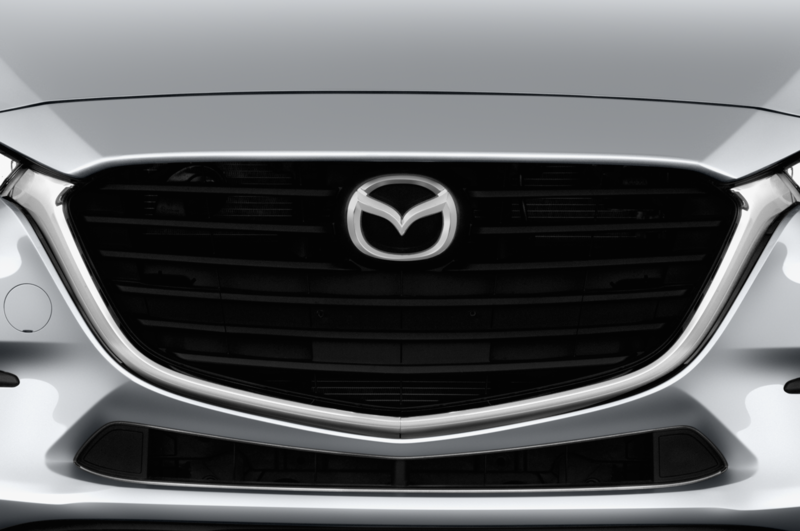 The standard engine on the Mazda3 remains a 2.0-liter inline-four making 155 hp and 150 lb-ft of torque. 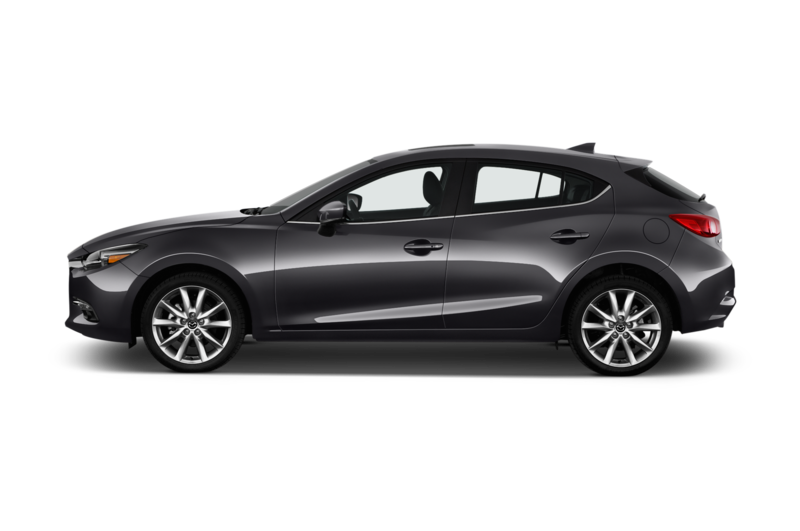 But this year, the mid-level Touring trim upgrades to a standard 2.5-liter inline-four making 184 hp and 185 lb-ft of torque. 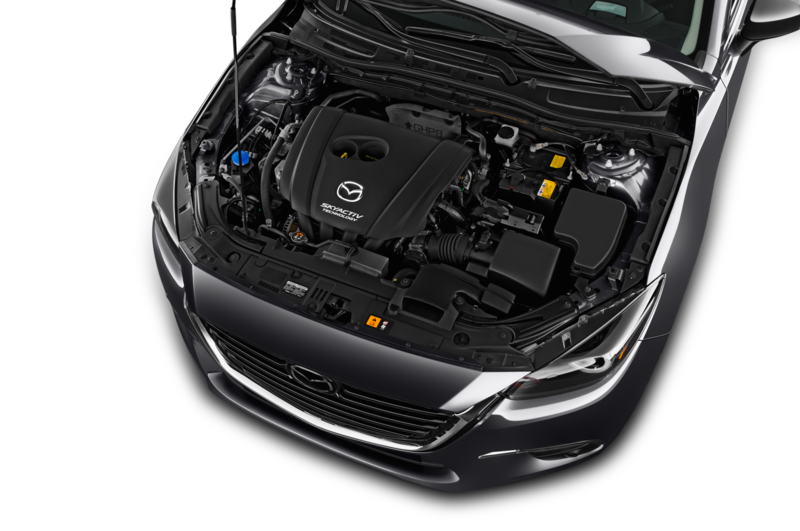 Previously, this engine was only available on the now defunct Touring 2.5 hatch or the Grand Touring. 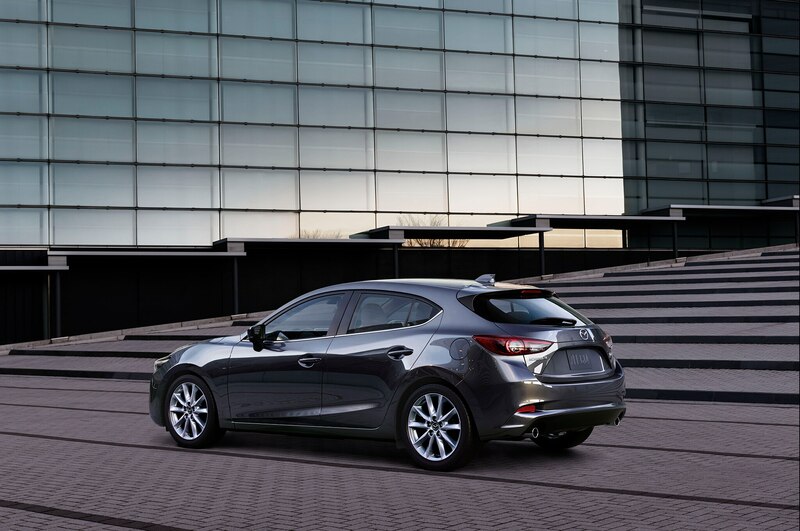 Touring models start at $20,965 for the sedan and $21,715 for the hatch. 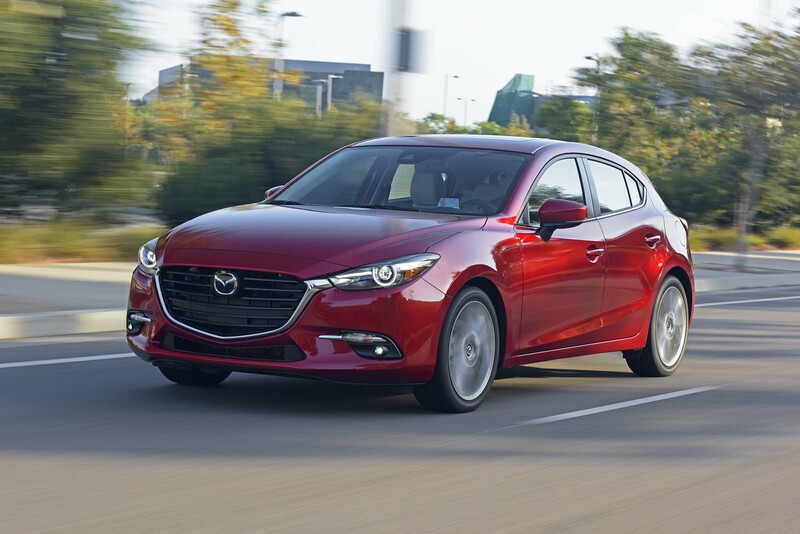 Grand Touring models once again top the lineup at $24,020 for the sedan and $24,770 for the hatch. 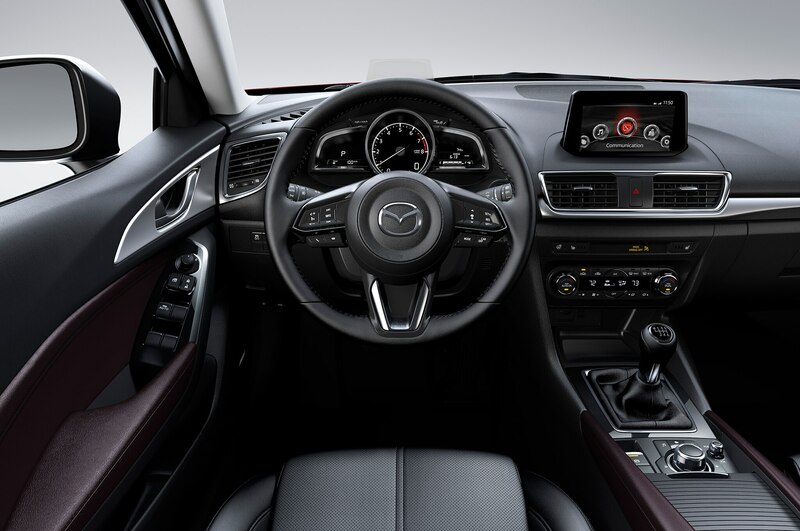 A $1,600 Grand Touring Premium Equipment package offers additional features this year including adaptive cruise control and lane keep assist. 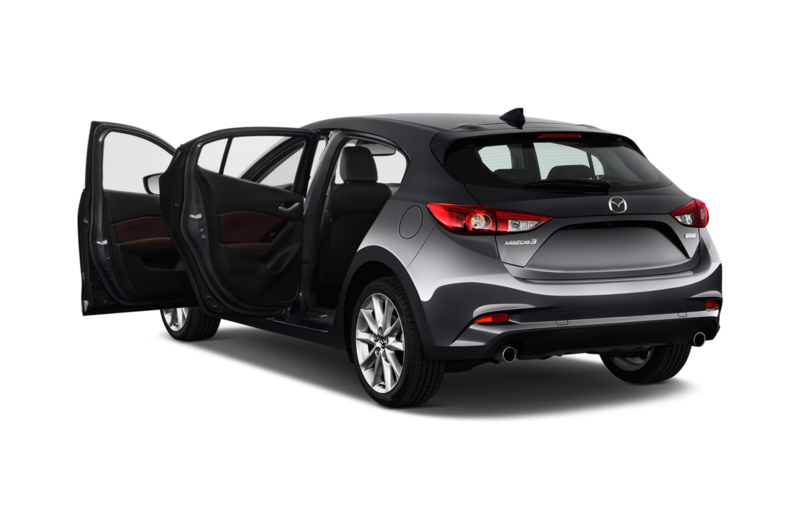 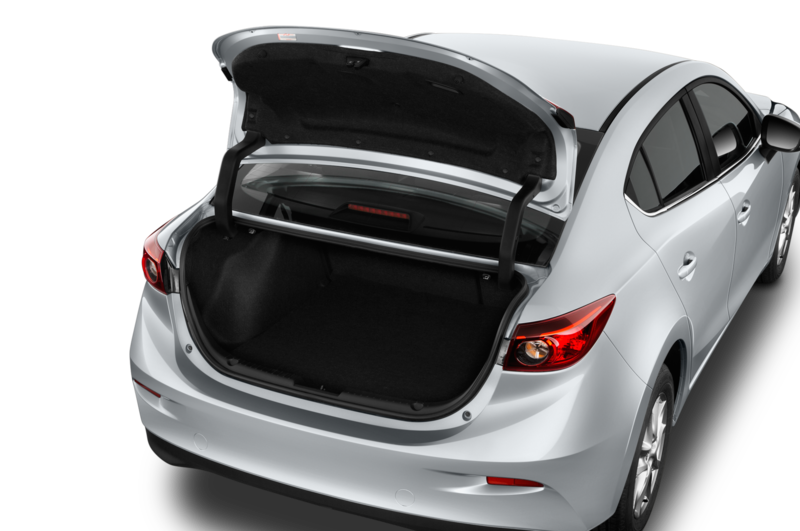 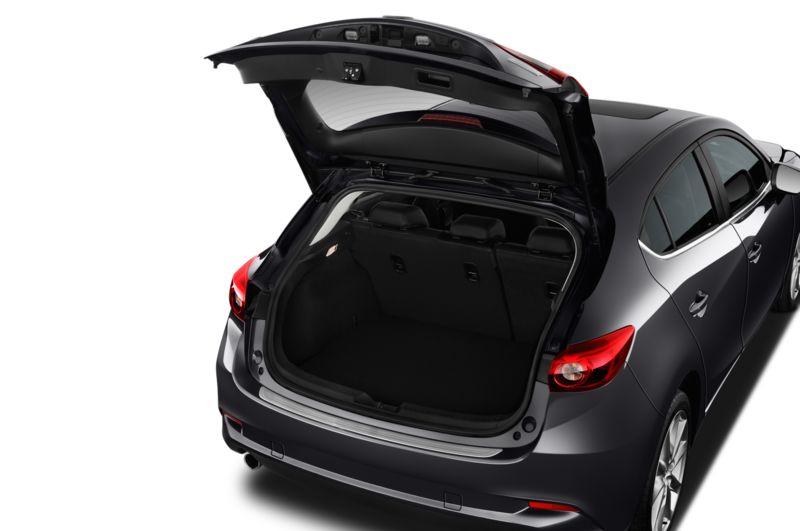 Gone is the i-ELOOP package from the configurator of the 2018 Mazda3. 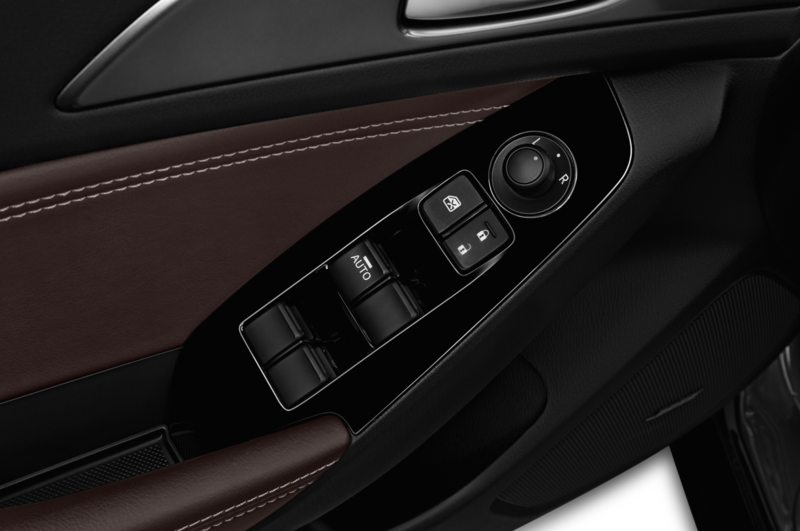 Last year, the package that enabled regenerative braking was offered on the Grand Touring trim. 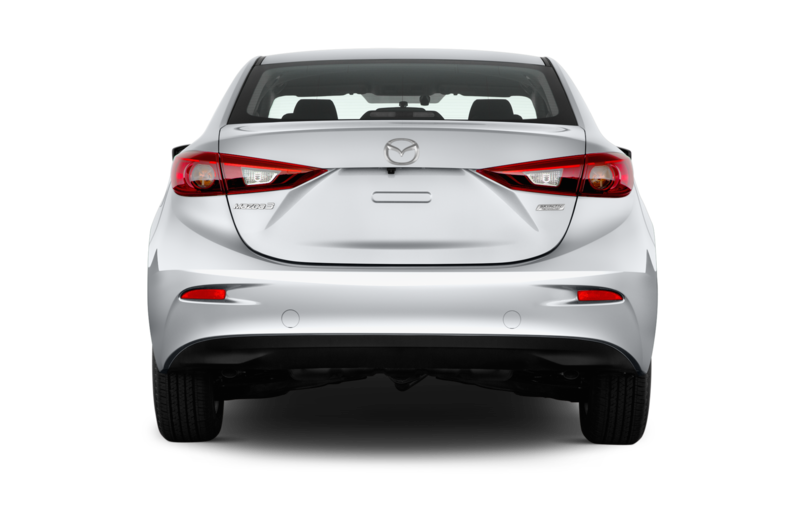 The 2018 Mazda3 is available in select parts of the U.S. now and will roll out to dealerships nationwide by the end of the month. 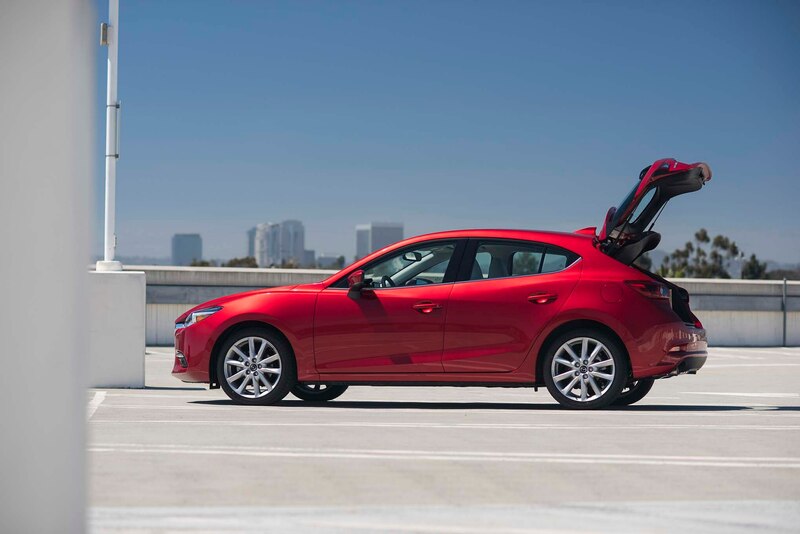 Pictured is the 2017 Mazda3. 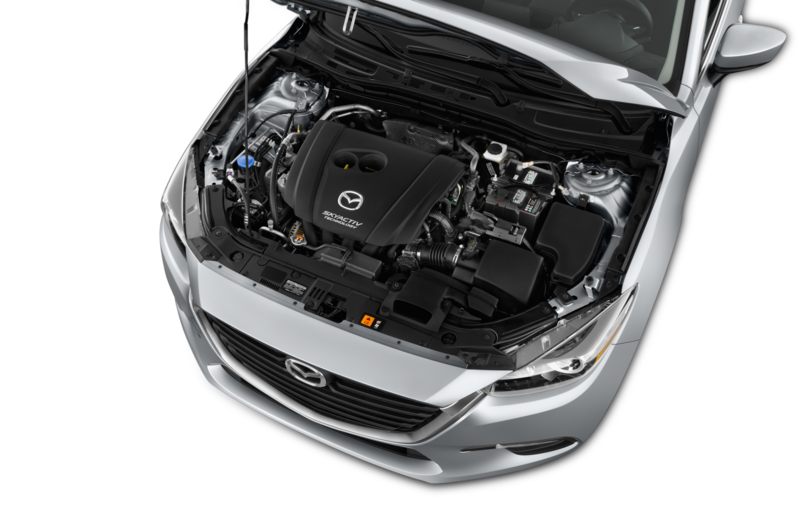 Is Mazda the Savior of the Internal Combustion Engine?